Home / Politics / UHURU KENYATTA says he is not interested in the Prime Minister’s position after 2022 elections – I will go to Gatundu South to milk my cows!! UHURU KENYATTA says he is not interested in the Prime Minister’s position after 2022 elections – I will go to Gatundu South to milk my cows!! Tuesday October 30, 2018 - President Uhuru Kenyatta has dismissed claims that he will spearhead constitutional changes to create a position for himself in Government after his second and final term comes to an end in 2022. 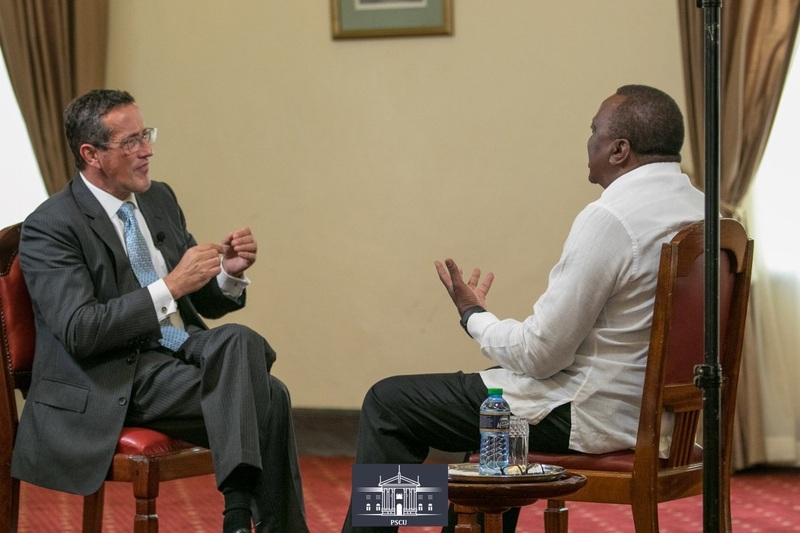 In an exclusive interview with CNN’s Richard Quest, Uhuru said he will not push for constitutional reforms so that a position is created for him to stay in power. Uhuru said he is not interested in extending his term in office, adding that he will retire in 2022. “I am not seeking to change the Constitution to cling onto power," affirmed Uhuru. This comes amid claims that a section of Mount Kenya leaders are pushing for constitutional reforms to create a Prime Minister’s position for Uhuru to ensure he remains in power after 2022. On Sunday, Murang'a Senator Irungu Kang'ata reignited the 2022 succession debate after suggesting that Uhuru is too young to retire. "Uhuru is still the Mt Kenya kingpin. He is too young to retire," Kangata said. Too young to retire? Does that mean he was too young to be prezo? Mmmmm... me thinks then RAO is just the right age to ascent to the throne then cos man Ruto is therefore still a todler. Problem though is that he is scared stiff of crocs in the Jordan. Can someone tell RAO there has never been and will never be any crocs in the Jordan. Now if that was the Nile or even the Mara, that would be understandable cos even them millions of Wilderbeests are made into mince meat literally every year by the toothy crocgies as they try to cross, but still cross they do-twice each year! !